Mensusa https://www.mensusa.com/articles/italian-sport-coats-invest-in-a-variety-of-sport-coats.html Italian Sport Coats- Invest In A Variety Of Sport Coats Italian sport coats will give you a sophisticated look without overdressing. 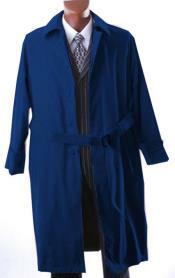 See MensUSA.com's selection of plaid sport coats and full length trench coat. Knowing the appropriate apparel for every occasion is essential if you want to match what you are wearing with the message you want to send to those you will be meeting. For example, you would not arrive to a job interview or important business meeting in jeans and sneakers. That would send a message to your superiors that you are not taking the event at hand seriously. The same goes for overdressing, unfortunately. You should not show up dressed in a three-piece or even a two-piece designer suit if that's too much. Thankfully, a sport coat can send just the right message to those around you: you are taking things seriously, but you don't intend to overdo it. Whether it is a plaid sport coat or a full length trench coat sport coat, it will leave you looking stylish before you even have a chance to introduce yourself to the room. The italian sport coats, like the Italian blazer, is a step up as far as fashion is concerned and it is up to you if you want to go for the most quality fabric and tailoring. But it is definitely worth the investment if you are willing to make it. If chosen wisely and paired with the appropriate apparel, sport coats have the power to send just the right message to those around you. It is sophisticated and professional, but you will not accidentally show up in a three piece suit when everyone else is comfortable in their dress shirts and khaki trousers. Choosing a rough fabric sport coat with minimal stripes and just the right color says to those around you that you mean business, but also that you are up for a laugh and are expecting a more relaxed setting. It all depends on the impression you want to leave with the people you are planning on interacting with throughout your event. Wearing a sport coat will also help keep you comfortable, and the best part is that with a sport coat on, not only can you ditch the tie, but basically you will never run out of pocket space. Useful and comfortable and classy. Don't stick with the same colors as you would choose for a formal suit jacket. Sport coats are meant for more casual settings, so instead of blue or grey, maybe go with more of a tan or brown selection. You can also choose to wear a plaid sport coat which will stand out in a less formal setting but will also keep you looking professional as well as approachable. Do choose a rougher, more distinguished fabric. You want to communicate that this is a sport coat and not a suit. You do not want people to think you are overdressed for the occasion as this can come off the wrong way in the eyes of people you might be trying to impress. Plaid sport coats can help you balance out your look. There are plenty of advantages of wearing a sport coat instead of wearing a blazer or suit jacket. For one thing, everyone else will probably be wearing a blazer, and if you want to stand out a little in just the right way, a sport coat will help you to be able to do that. The sport coat overall enhances your masculine appearance, and who wouldn't take advantage of that? Sport coats also have a tendency to make you appear slimmer than you are because of the way they fit, especially around the midsection. A full length trench coat will help you accomplish this fashion goal. Italian cotton is a quality material and in making the investment you will be sure to have a sport coat that will last you a long time and keep you looking good and classy through the years. A men discount sports coat is a good idea because it allows you to make the investment without emptying your bank account completely. When wearing a two or three piece suit would be considered overdoing it a little, slipping on a sport coat over your dress shirt can give you just the right degree of professionalism. It changes the way you look, and with the many varieties available, you might actually have fun shopping for this one. See how much what you wear influences the people around you? Always be mindful of the message you are sending. Action speak louder than words, but a sport coat speaks loudest of all.